We are probably about a year away from redoing our kitchen. And closer to redoing our bathroom. And for both, I am absolutely in love with encaustic tile. It is busy, colorful, and a lovely twist on tradition. We have wood floors throughout the house, but not in the kitchen. As we redo the kitchen, I am hopeful that this encaustic tile will be a nice, less expensive alternative to wood. I love a white bathroom, but I hate white bathroom floors. It shows too much. I am thinking I can recreate the above picture….almost entirely. 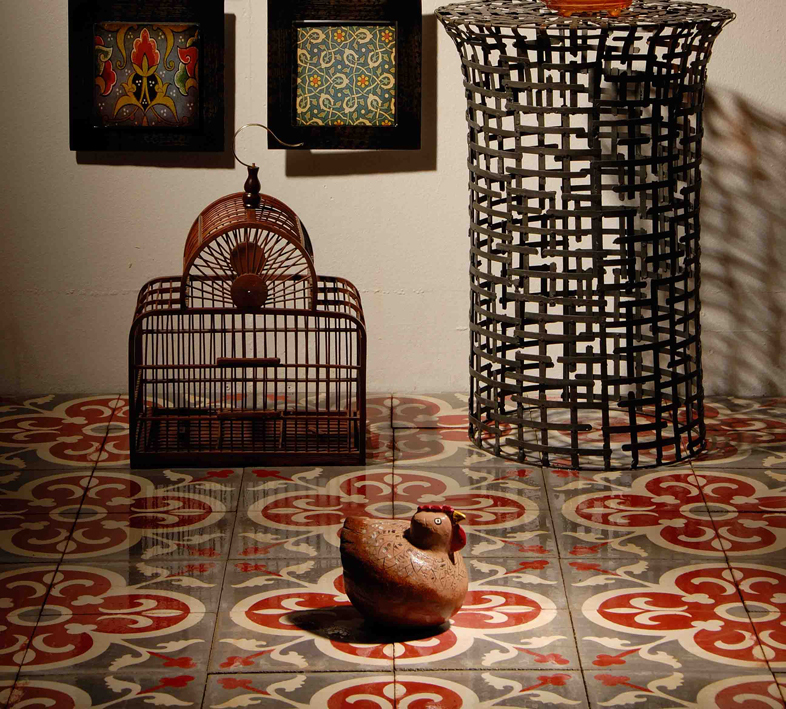 Here are some uses for encaustic tile that inspire me. Scott thinks wood floors would be better in the kitchen. Stay tuned to see who wins. This is gorgeous–in all applications. Even if you just win a backsplash, it will be worth the struggle. Good luck!